Kathleen and Raymond were heartbroken when their beloved Chihuahua, Hummingbird, passed away. At first, they were unsure about bringing a new dog into their lives after their difficult loss. Before long they found themselves ready to adopt a new dog to join their family and help fill the void. 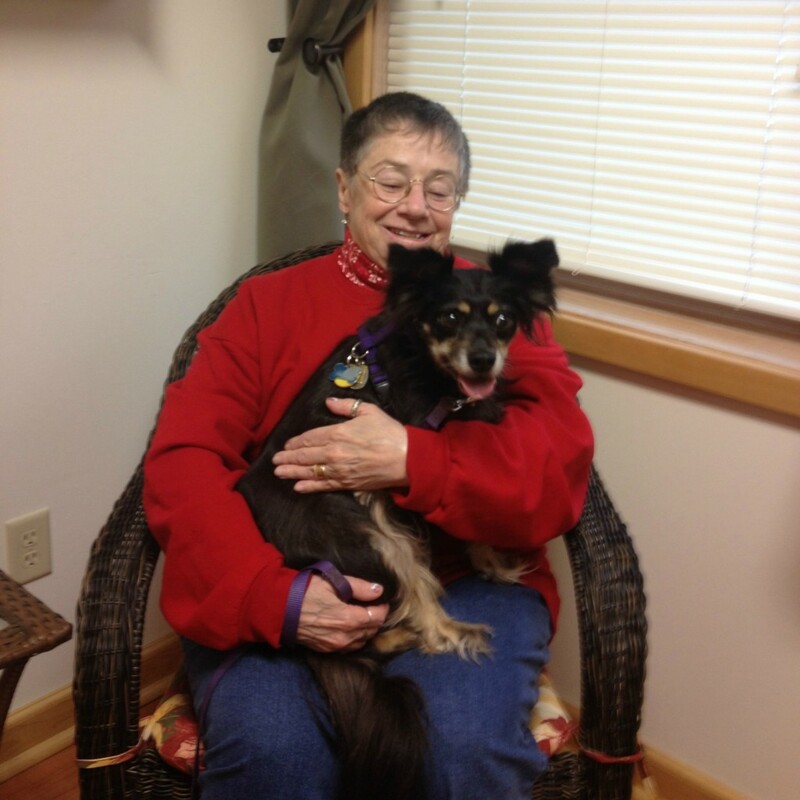 It was important to Kathleen and Raymond that they find an older dog to rescue and provide a happy home for. After a bit of a search they found a six year old mixed breed female that caught their eyes. Her name was Precious, and they would soon find out that her spirit and personality matched her name perfectly. Precious and Kathleen quickly became inseparable companions. Precious could always be found sitting quietly by her mom’s side. One day Kathleen wasn’t feeling well. Precious took notice and her behavior changed abruptly. Instead of resting peacefully next to her, Precious began panting and pawing and licking at her mom’s face. Kathleen tried to rest, but Precious inexplicably understood that something was very wrong. Precious actually picked up the telephone receiver in her mouth and brought it to her mom. Fortunately, Kathleen took the hint. She called her doctor, and before she knew it she was admitted to the intensive care unit at the hospital. While Kathleen was hospitalized, Precious waited by the front door for her mom to return home. As a result of Precious’ persistence, she got her wish. Doctors told Kathleen and Raymond that if Kathleen had waited just 30 minutes more, she wouldn’t have survived. The family is firmly convinced that somehow Precious sensed the seriousness of Kathleen condition. Precious saved her mom’s life that day. Precious has resumed her place lying quietly by her mom’s side. The doctors and staff at Mendon Village Animal Hospital regard Precious as nothing short of a hero. Needless to say, she is a very precious part of Kathleen and Raymond’s lives.